Use our affiliate links when purchasing certain goods and services online. 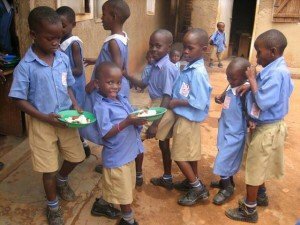 Since February 2008, The Real Uganda has provided a hot lunch for 120 students and 9 teachers at Nalusse Success Primary School in Mukono Town. Getting a hot lunch is very important to these kids as they often come to school without breakfast. The school day lasts from 8am to 4pm. Before the hot lunch program became free many kids ate only a small dry bun for lunch. They are now served rice or a cornmeal-like cake (posho) with beans. Sometimes, there’s even a little cabbage. As a result, students are energetic and able to learn better. 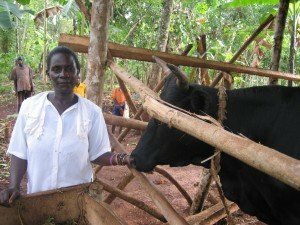 This program is contributing to their personal development and to the development of Uganda in the long run. The annual budget is about $3,900. This includes all food, cooking oil, salt, charcoal, and a small stipend for the cook. 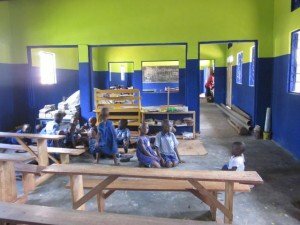 Grace Daycare and Primary School, near Nakifuma, Mukono District, spends considerable time and resources educating rural children. Sadly, once these kids graduate, their families rarely have funds to send them to secondary school. This perpetuates the cycle of poverty. 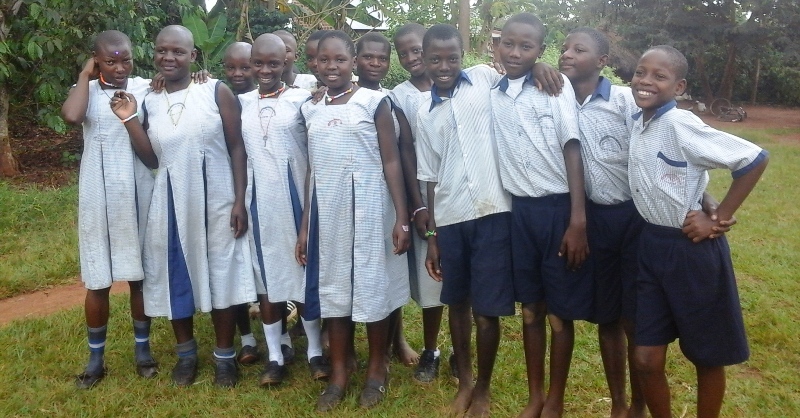 In 2014, The Real Uganda started a scholarship fund for graduates of Grace Primary School. To qualify, students must score a first grade on their Primary Leaving Exam. To continue receiving their scholarship, students must maintain passing grades in all secondary school classes. Their families contribute shoes and school bag, to remain involved in their child’s education. 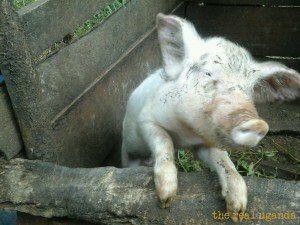 Currently, The Real Uganda is an affiliate of Amazon.com, World Nomads, and TravelNuts.co. Basically, by shopping online for products you already want, using any of our links, you help The Real Uganda send kids to school. It’s costs approximately $350 to offer a one year high school scholarship to a graduate of Grace Primary School. Please contact us if you’d like to fund a scholarship directly. 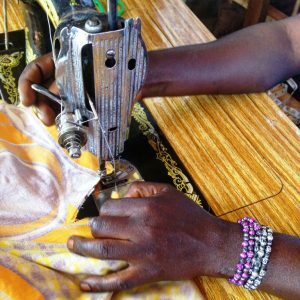 Currently supports a handicraft program to benefit five local women’s groups, which has jewelry, handbags, and other handicrafts for sale, since 2007.